Multilevel marketing is a professional script which allows you to start your own online business, more then that you can also use this script for promoting the products. It is the procedure to start your own earning website, as a side business or even multipurpose. This script will help you to earn money online and you can start your own MLM system. This script is totally based on MLM system. 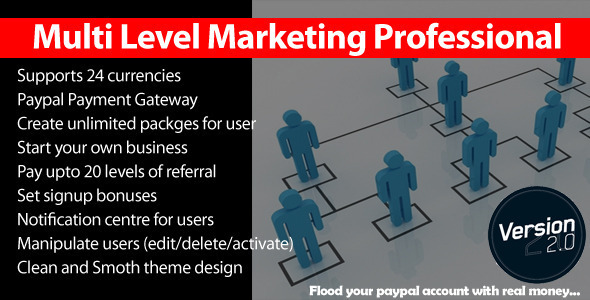 0 Response to "CodeCanyon - Multi Level Marketing Professional v2.8.8.1"